Lallemand Bio-Ingredients continues to innovate with the launch of Prime-Lyfe 175A! Lallemand Bio-Ingredients continues to innovate with the launch of Prime-Lyfe 175A, a yeast extract having a unique concentrated combination of peptides and amino acids, including glutamic acid and a clean flavor donation for a more powerful taste enhancement. It particularly helps to intensify light meat and bouillon notes compared to our standard extracts. Lallemand Bio-Ingredients offers this new yeast extracts that improve the savoriness and balance of taste in various applications including meat products, meat analogues, seasonings, soups and sauces. 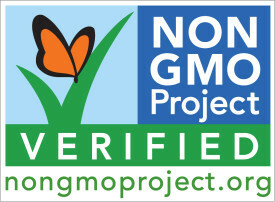 Our range meeting the Non-GMO Project Verification standards includes whole cell yeast (Saccharomyces and torula), yeast extracts (umami and savory) and yeast autolysates.